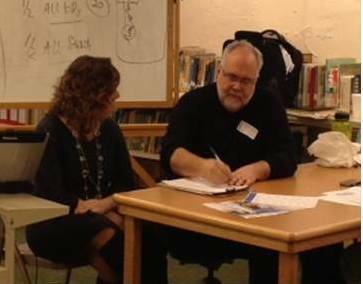 In a blog from Mind/Shift titled, The Importance of Low-Stakes Student Feedback, (Katrina Schwartz- January 6, 2014), Bernard Bull, assistant vice president of academics and education professor at Concordia University is featured in a discussion of assessment, grading, and feedback. The presence or absence of formative assessment also has a big influence on grades. “By formative feedback, I’m referring to low stakes feedback that has little to no effect on the final grade in the class,” Bull said. He’s describing important incremental feedback a teacher gives students about how they’re meeting class expectations, allowing students to adjust study habits to improve performance. “If a course lacks formative feedback, that’s often a strong drawback,” Bull said. “I’ve learned a lot about the importance of having lots of low stakes formative assessment in the early part of a class,” Bull said. He also admits his personal bias is towards creating a “culture of learning” instead of a “culture of earning.” In other words, he’d like to see assessments that reward students for genuinely desiring to learn something that will benefit them in their lives, not just earning a grade so they can get out of school. Pre- assessment at the beginning of a unit of study can provide important initial data (feedback) for teaching and learning to both teachers and students. Pre-tests allow students to identify missing skills and better focus learning efforts. The student can see a compelling reason for completing the practice activities assigned by the teacher. The teacher can match (personalize) tasks to learners. Examining pre- assessment results is a great thinking and learning activity for professional learning communities who share common student outcomes. Here are some questions for a PLC looking at pre-assessments. How do we use this information to set student learning goals? How might we have students set goals and select next steps based on the results? How will we differentiate instruction based on the learning goals and the learners’ needs? 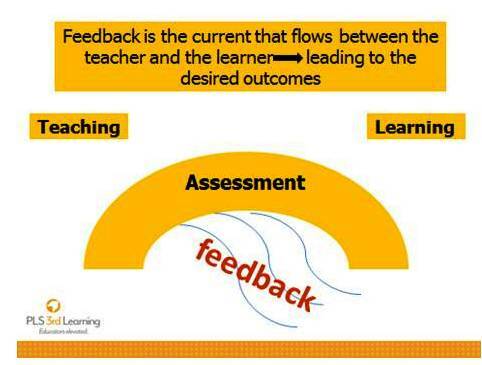 Where will we build in ongoing assessments to provide continuous feedback to students and teachers? What types of assessment will provide the most valuable information with the least loss of practice and learning time? How can we use ongoing assessments to motivate and celebrate student learning? What assessments will help us communicate with parents? Low-stakes feedback is important for teacher growth as well. The research on professional development strongly identifies the need for coaching feedback as teachers work to implement or change instructional practices. In a recent study, Effective Instructional Time Use for School Leaders: Longitudinal Evidence from Observations of Principals, Jason A. Grissom from Vanderbilt University with Susanna Loeb and Ben Master from Stanford University found no relationship between overall time spent on instructional activities and either school effectiveness or school improvement. However, when they decomposed instruction into its element tasks, they found that time spent directly coaching teachers is positively associated with learning and school improvement, while time spent engaged in informal classroom observations or “walkthroughs” is negatively associated with learning and school improvement, at least in high schools. In schools where walkthroughs are not viewed as professional development, walkthroughs are particularly negative; while in schools where they are viewed as professional development, coaching is particularly positive. Thus, principals who execute instructional leadership differently do get different outcomes. Yet investments of principal time in instructional activities do not have monolithic effects but rather are likely conditional on the type and quality of instructional leadership work. While we find a negative association between time spent on walkthroughs and outcomes, these results do not imply that walkthroughs cannot be useful. Our survey results provide evidence that walkthroughs are principals’ primary source of information about teachers’ effectiveness. However, if they do not use these walkthroughs to support professional development or other human resource practices, the information they gather is unlikely to be beneficial. This intuition is supported both by our findings and by prior research indicating that walkthroughs that do not feature some component of feedback to teachers may be less effective (Blase & Blase, 1999; Downey et al., 2004). Moreover, walkthroughs are a substantial part (almost half) of all the time principals spend on instruction. The issues for teacher growth and student growth match. If student assessment doesn’t lead to change in teacher behaviors it will unlikely positively impact student achievement. If principals’ and coaches’ assessment of teachers doesn’t change leadership behaviors, it is unlikely to lead to any teacher growth or student achievement. I am so thankful I’ve found your blog, Steve. I love the emphasis on low-stakes testing (i.e. formative assessment). We are fast approaching our high-stakes testing, and this was a refreshing reminder that our year-long efforts with low-stakes assessment will blossom into positive results on the dreaded high stakes. Thank you!